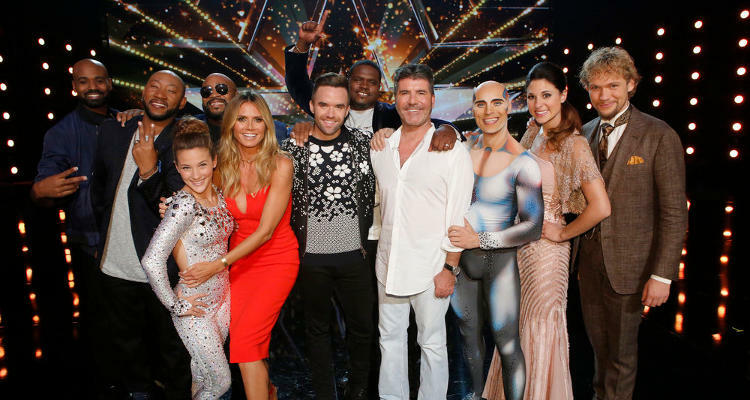 'AGT-America’s Got Talent’ 2016 Results: Who Won America’s Got Talent 2016? Who will be the AGT - 11th season winner? After all the performances on the America’s Got Talent 2016 finals tonight, it’s clear that the contestants just keep getting better. The stellar performances displayed by the contestants tonight have had many fans already searching for spoilers on who won America’s Got Talent. The show was such a nail biter; people are just dying to know who won! The America’s Got Talent results will air tomorrow (Wednesday, Sept 14) on the second half of the America’s Got Talent finale. The AGT contestants 2016 were unlike any level of talent the judges have seen on this stage before, and with the highest ratings ever for this season, it’s no surprise. People just can’t wait for the reveal of the America’s Got Talent winner, so you have to tune back in tomorrow to see who takes home the grand prize! They don’t make em’ much sweeter than Sal! Opening up the evening, this stylish “swooner” took to the stage first with his larger-than-life rendition of “Mack the Knife.” It couldn’t have felt more like a Las Vegas show, as Sal’s energetic and flawless performance wowed both the judges and the audience. Simon was only displeased that it wasn’t longer! This hilarious mime continues to baffle the judges with how extraordinarily well he transforms nothing into something wonderful. The Ukrainian juggling sensation stunned the audience and the judges with a routine that looked to be straight out of an apocalyptic movie with thunder, lightning and darkness. This time, Viktor incorporated in dark, interesting dance routine around his masterful juggling skills, and literally set the stage on fire with his solid performance. Simon said he felt like he was watching a movie! Brian sang his heart out for all those in the LGBTQ community who have been bullied or tormented because of their differences. His rendition of Michael Jackson’s “Man in the Mirror” surely sent chills down the spines of the viewers, as it was slow and tasteful, and simply full of emotion. Likely the highlight of the evening, America’s sweetheart, Grace Vanderwaal took to the stage and lit up the room. She’s inspiring people from all over the world, as a montage of YouTubers was shown playing their own versions of her songs. Magician/NFL player Jon Dorenbos‘ goal for his finale performance was to show America what magic is supposed to be. He did some crazy card shuffling with a pretty deep speech about finding ourselves, making his talent as inspirational as it is magical. As if he didn’t wow everyone enough himself, Simon wowed everyone by saying that we’d be honored to call him the winner of America’s Got Talent. Talk about a big statement! The Clairvoyants were ready to play mind games once more with a mentalist act that they revealed was never done before. Amelie nailed the first part of the performance, correctly guessing a random audience member’s birthday after detecting that Thommy had pulled out his wallet. They then made things totally crazy by sending Amelie underwater and correctly guessing Simon’s credit card info (no, not all of it)! As Mel B put it, they were mesmerizing and mind-blowing. With or without the AGT crown, there’s no way these guys aren’t going to have a Vegas show of their own after something like that! Sofie Dossi brought her contortion to the stage one last time, leaving everyone breathless with the amount of bending and spinning she did. Between doing multiple flips and nearly ascending to the ceiling to finish her performance, Sofie definitely brought her A-game for the finals. Simon thought it was her best performance of the entire season! Eighth grade opera superstar Laura Bretan sang “O Mio Babbino Caro” and absolutely killed it. While Howie Mandel called it a “million-dollar performance,” Mel B said she could sense the nerves — but then quickly followed up by saying that Laura’s note hitting was spot on. She really couldn’t have finished off with a better vocal performance! There’s hardly been a better performance from all 10 of these the whole season, and we can only imagine how close America’s votes will be. So who’s going to be the big winner, Trenders? Do you think it will be Grace? Tell us below!